School districts are again required by NYS Education Law to demonstrate they have reviewed certain cost data prior to subscribing to a BOCES technology service. To ensure the BOCES service is more cost-effective, excluding BOCES aid than some other providers, school districts as of January 15, 2000, were asked to sign a “STATEMENT OF ASSURANCES FOR TECHNOLOGY SERVICES BETWEEN A SCHOOL DISTRICT AND A BOARD OF COOPERATIVE EDUCATIONAL SERVICES” in order to be eligible for BOCES Aid. School districts must RENEW their statement of assurances by NOVEMBER 13, 2018. 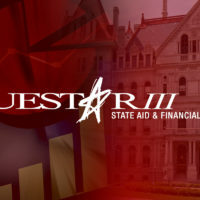 Questar III holds two CO-SERs that require district sign-offs on the Statement of Assurances form: 6320 (Library Automation), and 6360 (Instructional Technology – Common Set). A separate form must be signed for each service. As a required component for the “cost-effectiveness” process, each BOCES offering technology services developed cost data templates. Cost data templates were developed so districts could make cost comparisons. Once you have reviewed our cost data templates, please return no later than Tuesday, November 13, 2018, both sheets (for CO-SER 6320 and for CO-SER 6360) to Julie Best for filing with the NYS Education Department. Thank you for your ongoing efforts supporting technology.